Early this year, Insulation Institute set out to train as many contractors as possible how to achieve Grade I installation with fiberglass batt insulation. We selected three trainers to conduct half-day sessions in four states: North Carolina, South Carolina, Georgia, and Texas. Thirty-three sessions have been conducted or planned, and 700 participants will have completed the free training by the end of the year. 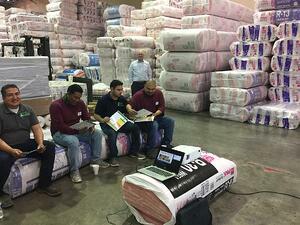 Insulation Institute spoke recently with each of the trainers to get their feedback on the program and any key takeaways they wanted to share.